Additional Information: A tradition of bronze cast figures is found among a number of different peoples of the Western Sudan including the Dogon, Bozo and the various groups of Burkina Faso. 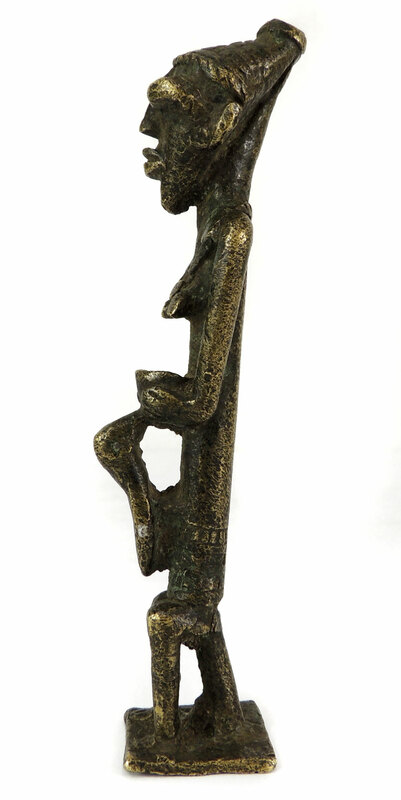 This well modeled miniature figure comes from Mali and was made by the Dogon . The sculpture is a bearded man kneeling to fire an arrow.